The Supreme Court five-judge-bench headed by Chief Justice Priyasath Dep yesterday reserved judgement in appeals filed by five accused-appellants including former Defence Ministry Monitoring MP Duminda Silva. 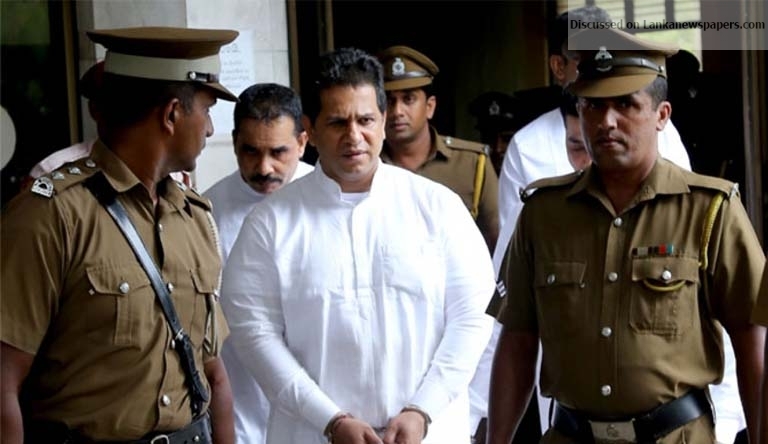 The accused challenged the Colombo High Court judgement that found them guilty of committing the murder of four persons including former MP Bharatha Lakshman Premachandra. The Supreme Court would deliver its judgement regarding the appeals in due course and parties were directed to file their written submissions before August 10. The Supreme Court yesterday concluded oral submissions made on behalf of both accused – appellants and Attorney General. Five accused including former Defence Ministry Monitoring MP Duminda Silva who were sentenced to death by Colombo High Court for committing the murder of four persons including former MP Bharatha Lakshman Premachandra had filed appeal petitions in Supreme Court challenging the judgement of Colombo High Court. Duminda Silva, the eleventh accused in the murder case had filed an acceleration petition in the Supreme Court requesting that the hearing on the appeal be accelerated on medical grounds. Through his appeal, Duminda Silva stated that he was seeking the jurisdiction of Supreme Court to review and set aside their conviction and the death sentence imposed by High Court on September 8, 2015. Five accused including former MP Duminda Silva were on September 8, 2015 sentenced to death by Colombo High Court for committing the murder of four persons including former MP Bharatha Lakshman Premachandra on October 8, 2011. However, the verdict was divided two to one with judges Pathmini N. Ranawaka and M.C.B.S. Morais finding five accused guilty for 10 charges including committing and conspiring to commit murder of four people while Justice Shiran Gunaratne the President of Colombo High Court Trial-at-Bar found the thirteen accused not guilty of all seventeen charges. Supreme Court five-judge-bench comprised Chief Justice Priyasath Dep, Justice Buwaneka Aluvihare and Justice Prasanna Jayawardena, Justice Nalin Perera and Justice Vijith Malalgoda. President’s Counsel Anil de Silva, Shavindra Fernando PC, Anuja Premaratne PC, Anura Meddegoda PC and Saliya Peiris PC appeared for the accused.